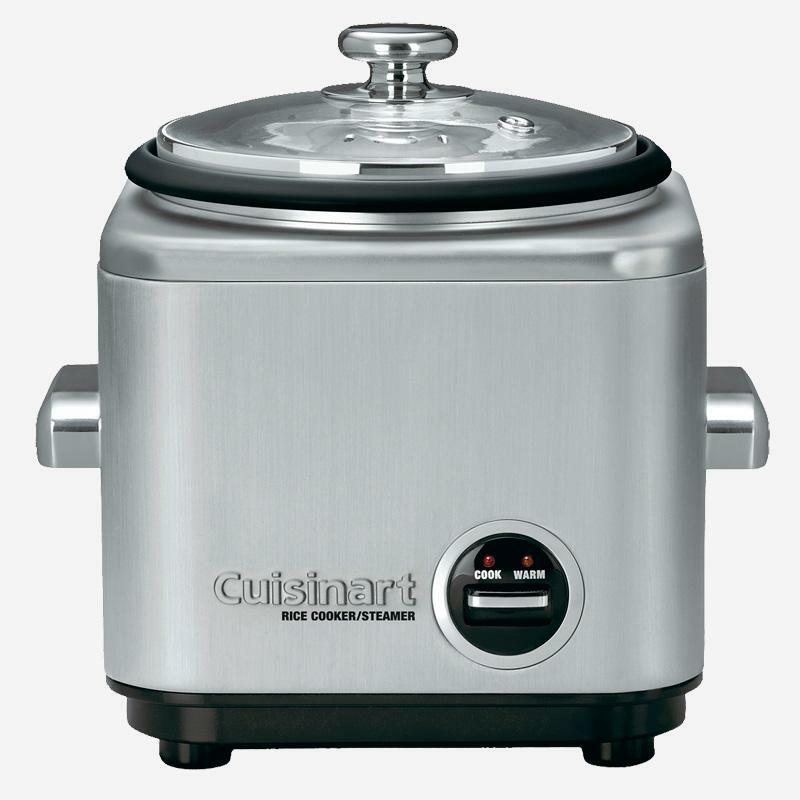 Now making the perfect rice dish is easy with the new brushed stainless Cuisinart Rice Cooker. Its steam vent helps to prevent splattering, while its chrome-plated handles stay cool to the touch. Use the built-in tray to steam other foods while the rice is cooking; when you’re done, the non-stick coating and durable construction make cleanup a breeze. - Elegant brushed stainless steel housing with embossed Cuisinart logo and chrome plated side handles. - Makes 4-7 cups of cooked rice. - Traditional lever control with Warm and Cook Settings. - Warm and Cook Indicator Lights.